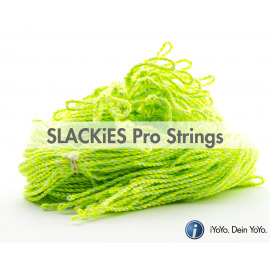 SLACKiES are the official string of German manufacturer - iYoyo. 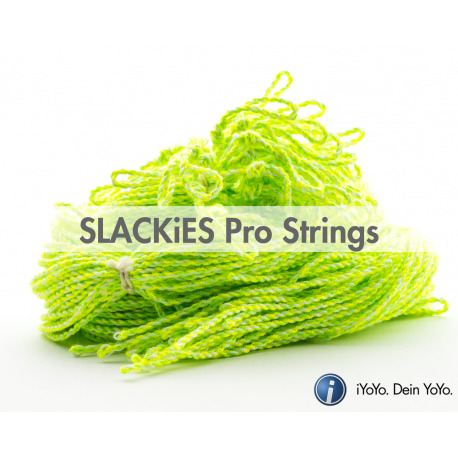 SLACKiES are the perfect fit for iYoyo yo-yos: they are slightly (~15%) thicker than regular poly strings, measure in at 115cm and are especially well suited for all of your slack and suicide tricks - hence the name. The extra thickness doesn't feel bold at all, but offers that extra bit of response for yo-yos with a larger gap.